On the first of June, Google submitted plans to build its new eleven-story headquarters designed by BIG - Bjarke Ingels Group and Heatherwick Studio, the team behind Google's East Charleston campus in Mountain View, California. 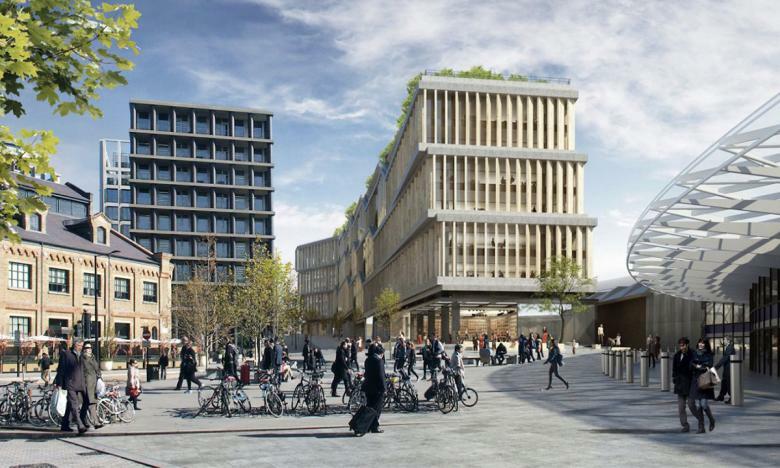 The sizable building – as long as Renzo Piano's Shard is tall, according to the Guardian – would sit parallel to the platforms of King's Cross station in London's Borough of Camden. 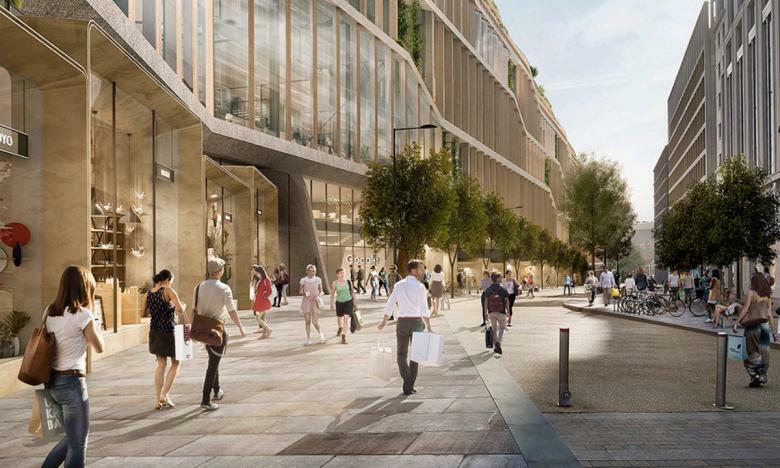 Already dubbed a "landscraper," the reportedly £1 billion project would become the first building designed for, and owned by, Google outside of the United States, where it is in the process of gaining approvals for the other BIG/Heatherwick creation. Although all of the planning submission's ​documents are available on Camden's website, it's the renderings that garner the most attention. 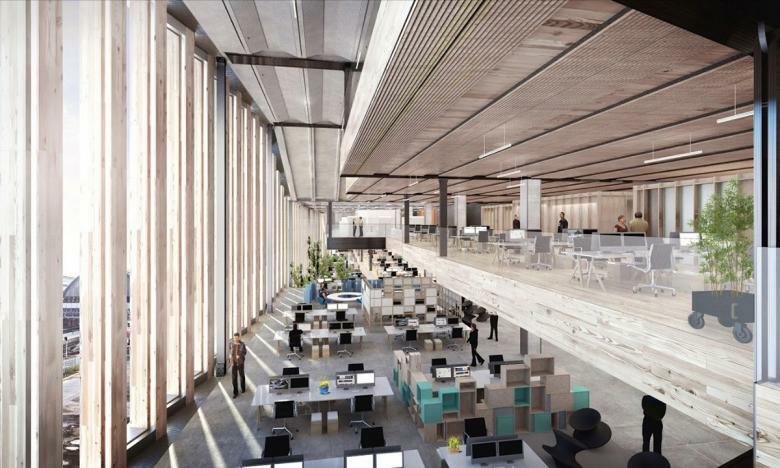 They reveal a relatively sedate design by the famous architect/designer pair, with facades of timber and bronze, a planted rooftop park, and open-plan offices for the 7,000 Google employees who could occupy the HQ. The stepped facade would respond to the slope of the site (including a subterranean access ramp for the railway station) as well as an internal promenade running the length of the building. Amenities inside include gyms, a pool, four cafes, a sports pitch, and a running track at the roof. With planning approval, construction is expected to start in 2018.